128GB or even 256GB but lower costs devices may only be able to handle a 32Gb or 64GB card. Just check your device’s specs before you order. If you over order on size, the card will likely still work but you won’t get the full capacity – thus you paid too much! The sale on these SanDisk cards is throughout the day and all of them are eligible for Amazon Prime free 2-day shipping. Today’s Deal over at Amazon is on the zippy Samsung EVO MicroSD card. 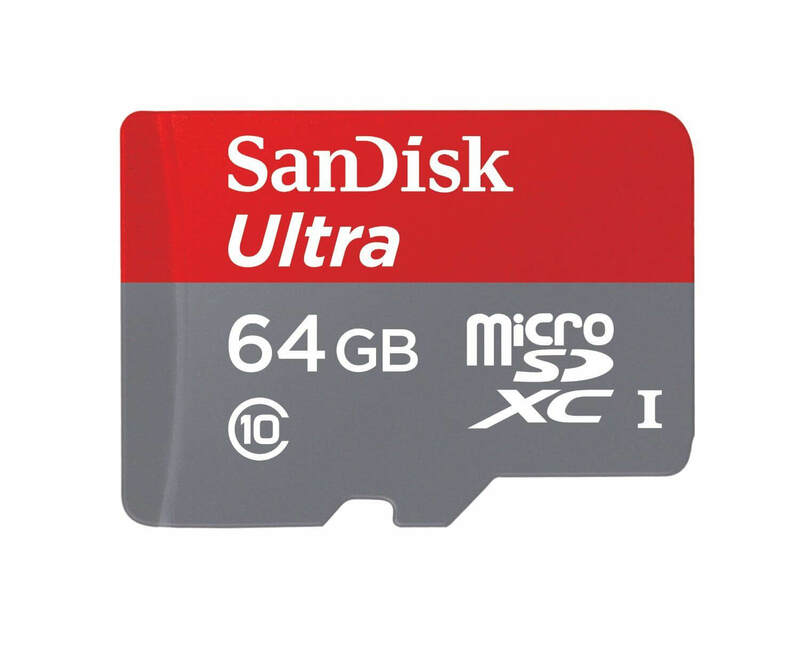 The 64GB version of the card is down to $21.99 today while the 32GB model is only $10.99. If you are looking to expand the memory of your Android phone or other devices, these are solid performing cards that can keep up with an impressive 48MB/sec throughput. Whether you pick up the 32GB or the 64GB version, both cards are UHC-1 certified so you can record Full HD to them as the write speed is fast enough. The cards will be supported by the vast majority of Android phones as well as other recording devices (like a GoPro) but be sure to double-check the specification requirements of your device before you make a purchase. For those of you who are Amazon Prime customers, you get free shipping on the cards. Head over to Amazon to get all the details. Prices are good while supplies last. Today’s Deal over at Amazon you can get a great deal on a speedy MicroSD card for your devices with a huge amount of storage. Right now you can pick up the Samsung EVO Plus Class 10 MicroSD card with 128GB of storage for $38.75. It is a savings of 62% off the regular price. The card comes with a reader adapter and as with all MicroSD cards and it is waterproof and shock proof for durability. It is also fast enough to keep up with HD recording in devices so you should have no trouble with really anything that accepts this size card.